New installation project from Gilles & Cecilie Studio. 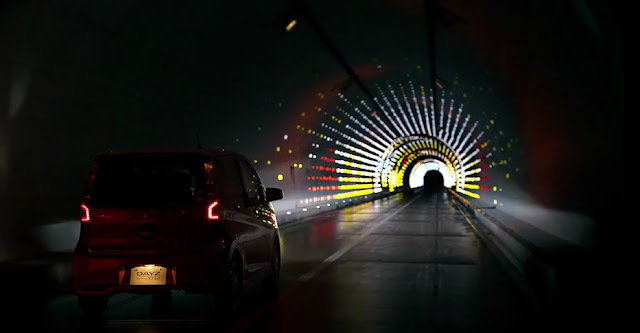 Partnering with Pulse Films in London for a new commercial from Nissan, the illustration & design duo created an installation measuring nearly 1000' along the wall and ceiling of a tunnel. The artwork, combining light-reflecting paper as well as painting directly on the walls, consists of more than 17,000 pieces of paper and together creates a portal inspired by the starry sky.